Of course, in a perfectly rational world, procrastination would never be a problem. We would simply compute the values of our long-term objectives, compare them to our short-term enjoyments, and understand that we have more to gain in the long term by suffering a bit in the short term. Chapter 1 "Paying More for Less: Why Big Bonuses Don't Always Work"
...the data from our experiment showed that people, at least in this regard, are very much like rats. The conclusion was clear: paying people high bonuses can result in high performance when it comes to simple mechanical tasks, but the opposite can happen when you ask them to use their brains--which is usually what companies try to do when they pay executives very high bonuses. The truth is that all of us, at various times, struggle and even fail when we perform tasks that matter to us the most. 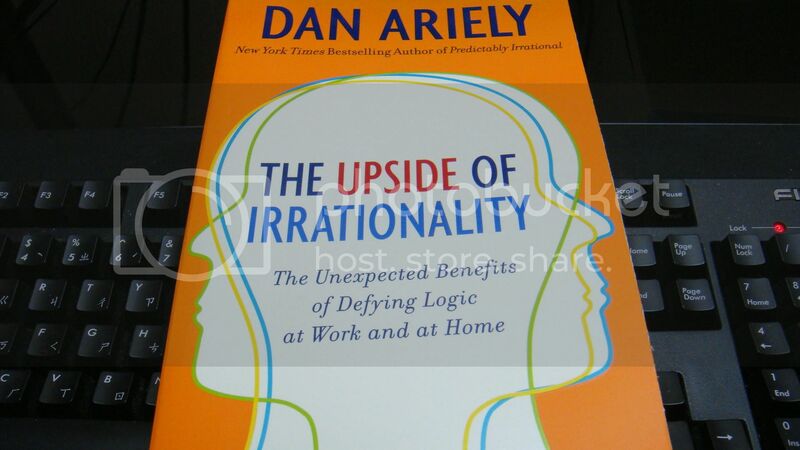 Chapter 2 "The Meaning of Labor: What Legos Can Teach Us about the Joy of Work"
Chapter 3 "The IKEA Effect: Why We Overvalue What We Make"
Chapter 4 "The Not-Invented-Here Bias: Why My Ideas Are Better than Yours"
Chapter 5 "The Case for Revenge: What Makes Us Seek Justice?" Chapter 6 "On Adaption: Why We Get Used to Things (but Not ALL Things, and Not Always)"
Chapter 7 "Hot or Not? Adaption, Assortative Mating, and the Beauty Market"
Chapter 8 "When a Market Fails: An Example from Online Dating"
Chapter 9 "On Empathy and Emotion: Why We Respond to One Person Who Needs Help but Not to Many"
Chapter 10 "The Long-Term Effects of Short-Term Emotions: Why We Shouldn't Act on Our Negative Feelings"
Chapter 11 "Lessons from Our Irrationalities: Why We Need to Test Everything"